Lifestyle & Fashion Rs. 300 cashback on Rs. 300, 15% off on Rs. 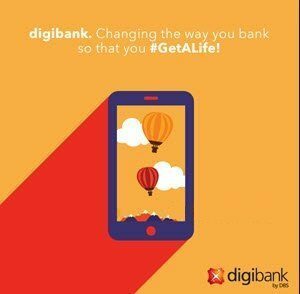 799 with Digibank By DBS – Flipkart. Flipkart has again come up with The Flipkart Fashion Sale from 8th to 11th Aug. Choose from various categories of Clothing, Footwear, Accessories & more. Get Lifestyle & Fashion category Extra 15% off on Rs. 799 with Digibank By DBS users. Free shipping above Rs.500 else Rs.40 extra. Virtual Debit Card users: 15% off (upto Rs. 150) on Rs. 799 from 8th to 11th Aug.
digiSavings Debit Card: upto Rs. 300 CashBack on Rs. 300 transaction. Discount Offer – DBS Bank Ltd. (“DBS”) offers to all DBS Virtual Debit Cardholders (“Cardholder/s”) an extra 15% off* on Fashion & Lifestyle category products sold on Flipkart’s (“Merchant Partner”) electronic platforms www.Flipkart.com, m.flipkart.com & mAPP. The minimum purchase value to avail the discount is INR 750/-. The maximum discount that can be availed during the Discount Period is INR 150/- per Cardholder. The Discount Offer is applicable only on Fashion & Lifestyle Category products sold on Flipkart.com, m.flipkart.com & mApp. The discount will be given only when payment is made by the Cardholder using Virtual Debit Card issued by DBS. This Discount Offer will be applicable on the final cart amount of the relevant Fashion & Lifestyle Category product only. Login to Digibank app, Click on Open digiSavings. Enter Aadhar and Pan Card and then visit the nearest Café Coffee Day or call the DBS representative via the DBS Mobile application to complete your account opening process. Post registration completion, receive your physical debit card within 4 working days. Use your digiSavings physical debit card for minimum purchase of INR 300 on Flipkart to get a maximum cashback of INR 300. Receive INR 300 cashback into your digiSavings account within 5 working days of transaction on Flipkart. Last date to avail offer on Flipkart is 8th Sep, 2016. The discount is valid for 1 transaction only through the digiSavings Debit Card. How to Buy Flipkart Fashion Sale Minimum 50% off + 15% off on Rs. 799? For new customers, while signing up enter promo code ” FLIP ” on the first screen/sign up page and create e-wallet. For existing customers, no promo code is required. An instant 15% discount will be awarded to Digibank By DBS Virtual debit cardholders at the time of making the payment of Rs. 799 & above as per the discount offer on final cart value.